Current scene at Fissure 8. Credit: USGS/HVO. It has now been 66 days since lava was last at the surface at Kilauea. 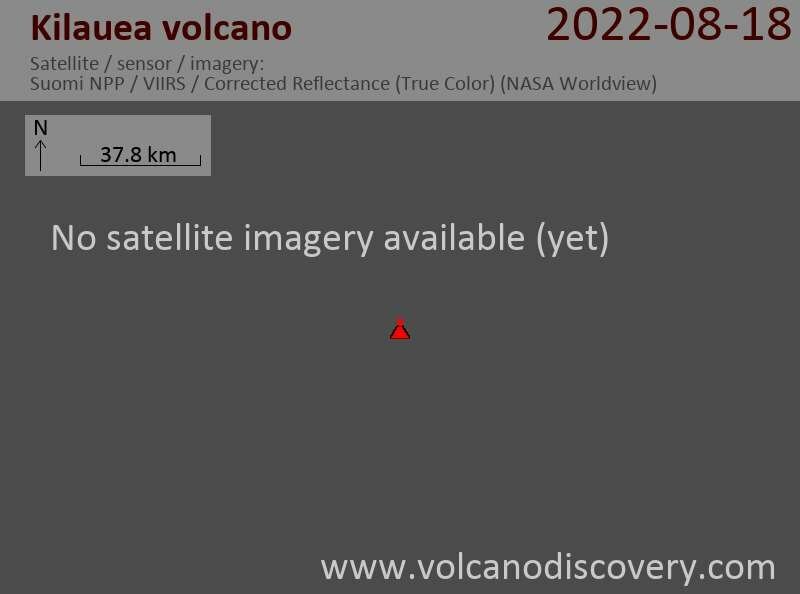 That is the longest gap since the start of the eruption in 1983- there were 65 days between Episode 2 and 3- and the longest since the 4 months between the two 1982 eruptions. And with no signs of imminent renewal, it seems very likely that the current gap will reach the 90 day mark on December 5- which means the eruptive period that started in 1983 has come to end. When eruptive activity does eventually return, it will be an entirely new eruption. A fantastic example of a cinder cone at Fissure 22. Credit: USGS/HVO. The Hawaiian Volcano Observatory has lowered the Aviation Color Code and Alert Level for Kilauea to YELLOW/ADVISORY, stating that the likelihood of renewed eruptive activity in the near-future is unlikely. Kilauea volcano Volcanic Ash Advisory: ROCKFALL W/ PSBL VA EM. Kilauea volcano Volcanic Ash Advisory: ROCKFALL SMAL EMS RPRTD. Kilauea volcano Volcanic Ash Advisory: LIKELY ROCKFALL AT 2313Z. Kilauea volcano Volcanic Ash Advisory: SEISMIC EVENT AT 1505Z. Kilauea volcano Volcanic Ash Advisory: SEISMIC EVENT AT 1614Z. Kilauea volcano Volcanic Ash Advisory: SEISMIC EVENT AT CRATER. Kilauea volcano Volcanic Ash Advisory: NEW VA EM AT 1320Z. Kilauea volcano Volcanic Ash Advisory: USGS HVO RPRTS NEW VA EM AT 13/1340Z. Kilauea volcano Volcanic Ash Advisory: NEW VA EM.